As we continue to celebrate this 60th Anniversary year, we are breaking records! 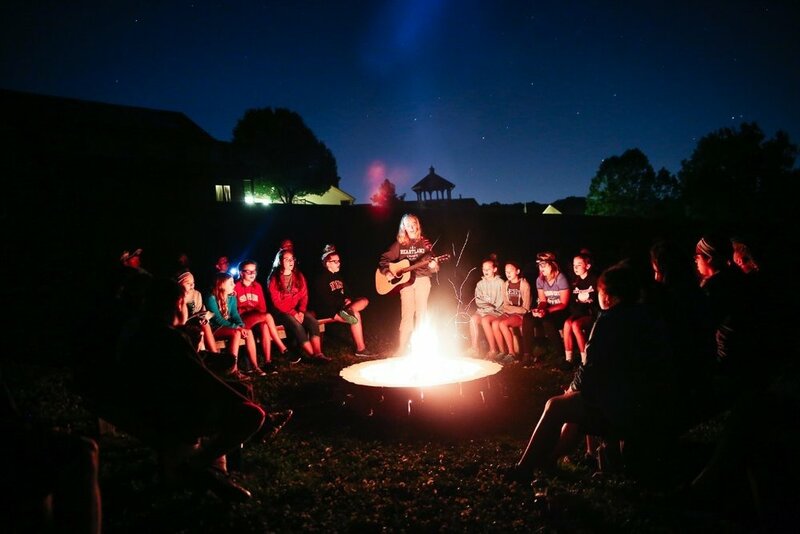 As you know, the camp's mission is to give young people a personal experience in God's nature with a special family of new friends and counselors, gathered in the name of Jesus Christ. Ten years ago, our summer camps served 800 children and youth. Participation has continued to grow; it is amazing that this summer's program reached more than 2,900 participants! The growth is due, in part, to the wonderful staff and hundreds of volunteers as well as monetary donations from individuals and churches. Also contributing are dedicated former campers, alumni staff and Christians who realize how important the camp mission is to youth and to the future of the church. An expanded vision has led to recruitment of many part-time staffers and volunteers, helping to make the vision a reality. The staff and Board of Directors have done an exceptional job of managing operations and raising needed funds to support our work. Where else have you seen growth at this rate in church mission? The goal is to grow even more, reaching additional youth, and engaging supporters in volunteering your talents, prayers and monetary contributions. In a world full of divisiveness, consider how wonderful it is for kids of all ages to be immersed in the love of God's family and the natural world, even if it is just for a few days or weeks. New Class of Interns Has Arrived! At the beginning of this month, we welcomed 7 new young adults to the Heartland family. They are participating in the Cornerstone Internship program. Their names are Sarah, Drew, Julie, Halle, Ellice, Wyatt and Kevin. So far, their time has been spent in training and group building; this included a camping trip to Arkansas! Here at Heartland Center the interns will participate in the areas of camp programming, hospitality, support services and coordination of activities for campers. In addition, each one will serve in a part-time capacity in church and/or youth ministry in a local congregation. The goal is to assist them in discerning a future call to camp or church ministry. As they begin their service, we are grateful for their commitment to the work that is accomplished here at Heartland. We look forward to seeing what God has in store for them. Disc Golf Tournament: Save the date 11/3/18! One of our final 60th Anniversary celebration activities will be our Disc Golf Tournament, scheduled for Saturday, November 3 from 9am-noon. This would be a great time for you to try out our course or to come back if you have used it before! Visit our HeartlandCenter.org to learn more and to sign-up. What Campers Are Saying . . .
"There is such an amazing group of people here, and I loved learning about my heavenly Father." "I love exploring new things and meeting new friends." "My counselor was super nice." "My favorite activities were night swim, high ropes and meeting new people." "Everyone is kind and the counselors were awesome. And I just enjoyed everything we do." "What I loved most about vespers was hearing the counselors' amazing stories about how they found God in their life."